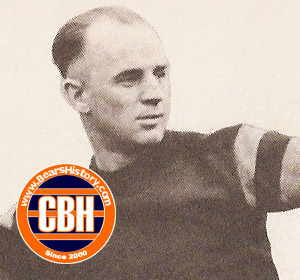 Halas' first choice to co-own the Bears, but Driscoll had signed to play with the Chicago Cardinals. Played with that team until Halas acquired him in 1926. Played for Bears then through 1929 season. Longtime assistant coach; was head coach of Bears in 1956 and 1957. Enshrined in Pro Football Hall of Fame in 1965. Died in 1968 at the age of 72.